I seem to do this thing every season where I take classic dishes and give them a seasonal twist! 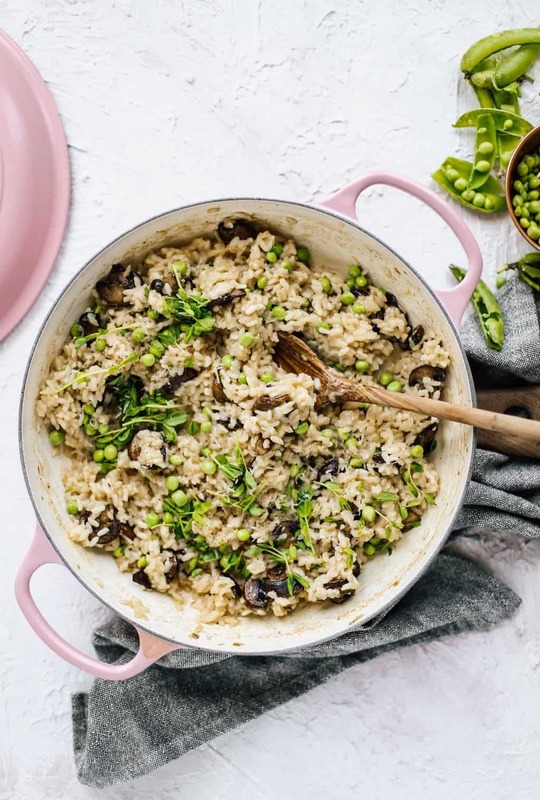 This spring pea mushroom risotto is one of the best spring risotto recipes, in my opinion! 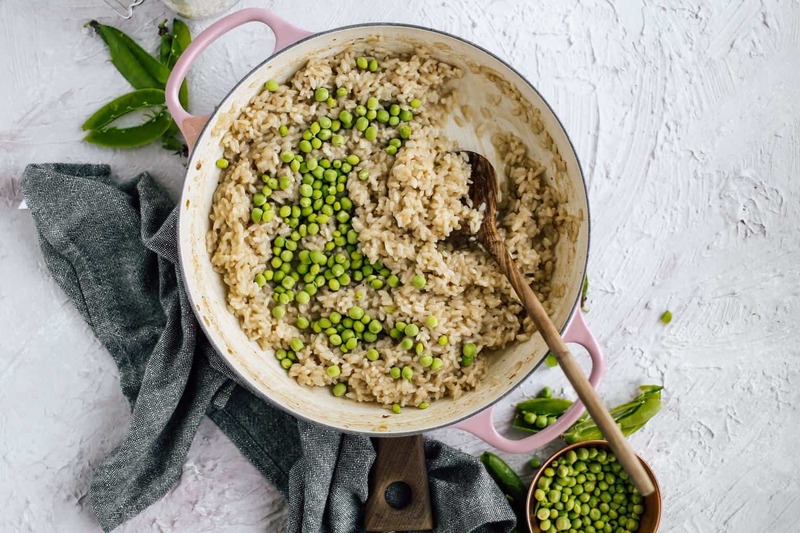 It’s flavorful, savory and filled with gorgeous spring peas. 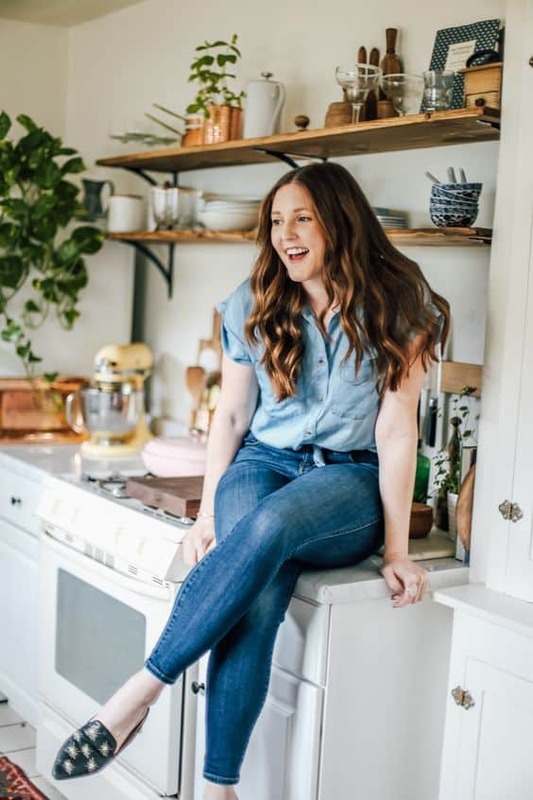 To grab all of the fun shopping details from this post head over to The Inspired Home! When I was in college I was fortunate enough to have the best dining hall ever. I’m not kidding. 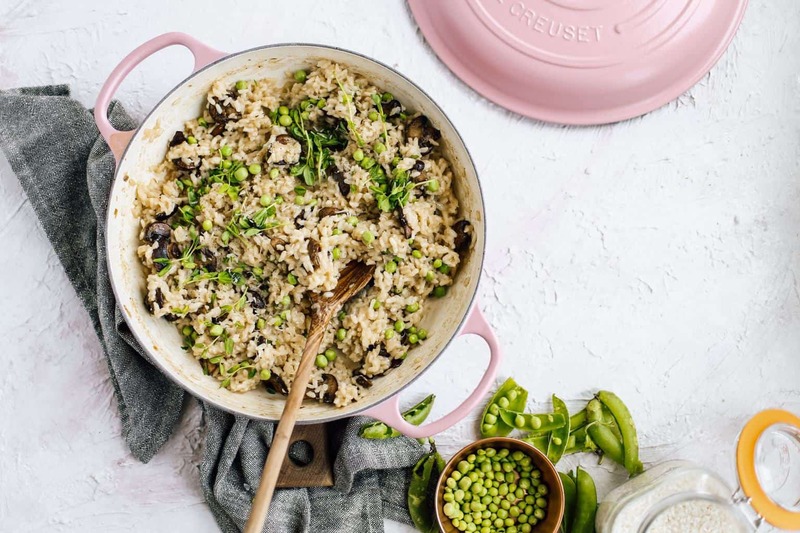 Praise The University of Northern Colorado for their delicious eats because without them I may have never tried risotto, or made this spring pea mushroom risotto. I was sort of a weird kid growing up (I didn’t actually try a taco till I was 17) and I mostly ate things like frozen pancakes and chicken nuggets. My parent’s tried to get me to open up my palette, but man was I stubborn. It wasn’t until I graduated high school and when I really started cooking for myself that I would discover how many amazing and endless flavor combos there were. While I do feel like I missed out a ton, I am grateful that I was able to discover new foods one by one because I really dove deep into them and taught myself the ropes, including risotto! Don’t worry, I definitely still get made fun of for ‘being the girl who didn’t have a taco till she was 17’. It’s a standard running joke in my family now lolz. That winter I marched up to the pasta station at the dining hall and got myself a huge helping of ‘risotto’. I mean… what. a. scary. moment. They were out of penne with marinara and the butternut squash risotto smelled amazing and was piping hot. It was also freezing outside and this California girl was ready to kill for some warmth. So, I did it. I took one bite of that creamy, mystery pasta rice business and never looked back. It was fan-freaking-tastic. Ever since then, I make a seasonal risotto every year. 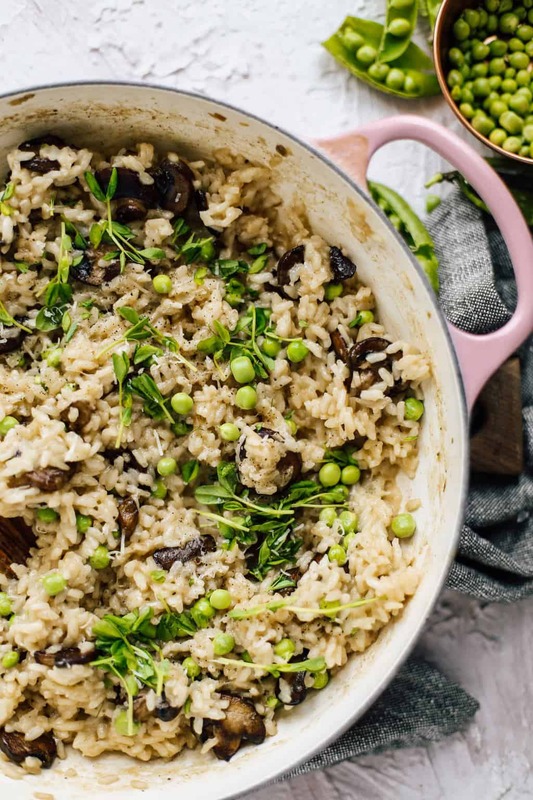 My favorites are today’s Spring Pea Mushroom Risotto and Butternut Squash risotto for fall. But this white cheddar and kale risotto is a close second, it’s just SO creamy. I just love all the risotto’s. After my first semester frequenting the dining hall I was pretty inspired to make dinner for myself. This was also at the point in mine and Jared’s relationship where I was like reeeeeeally trying to impress him. I soon found out that he would eat practically anything with some hot sauce. But I still kept going even then! 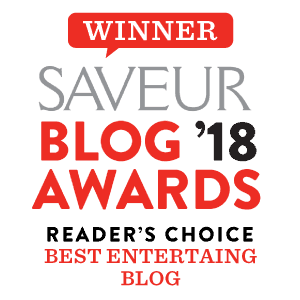 I was initially really intimidated by any recipe that involved wine and I quickly found out that any recipe that used wine would usually mean it was BOMB. I was even more intimidated by the part where you had to ‘stay near the dish at all times and ladle hot broth after every few minutes’. IT’S REALLY NOT THAT SERIOUS PEOPLE! I promise! The trick to risotto is to have everything prepped. Keep that broth hot and on the stove, turn your favorite show on near the kitchen and you will be just fine! I promise! 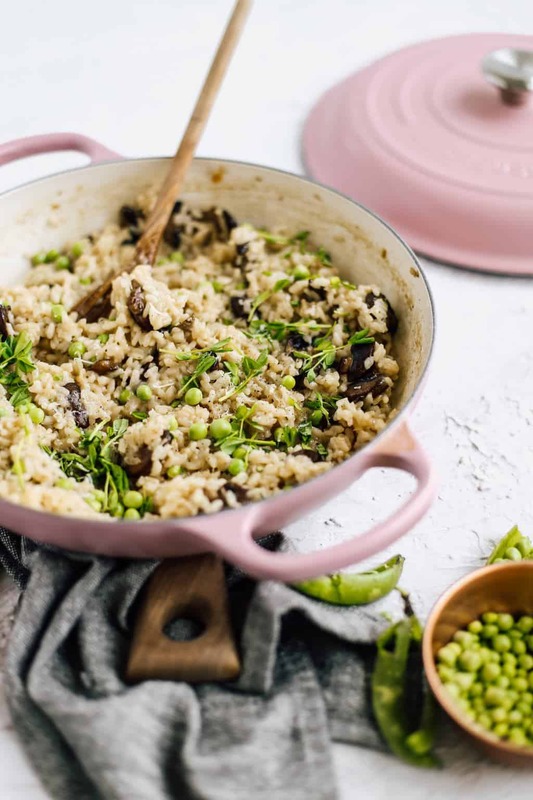 Give this tasty spring pea mushroom risotto a go this spring, you’ll love it! Heat olive oil on medium heat in a shallow sauté pan. Add sliced mushrooms and cook for 5-10 minutes or until golden brown. Remove from heat and reserve for risotto. In a large sauté pan or braiser heat butter on medium-low heat until melted. Add in shallots and cook for 5-10 minutes. Add in arborio rice and coat with butter to toast for 1-2 minutes. Stir in white wine and cook for 1-2 minutes. Add two ladles of vegetable stock to rice along with and salt and pepper. Stir consistently until most of the stock has absorbed but not dry. Add in another two ladles and repeat until absorbed again. Continue to stir and add in 2 ladles full stock until all of the stock is incorporated. This process should take you about 25-30 minutes. 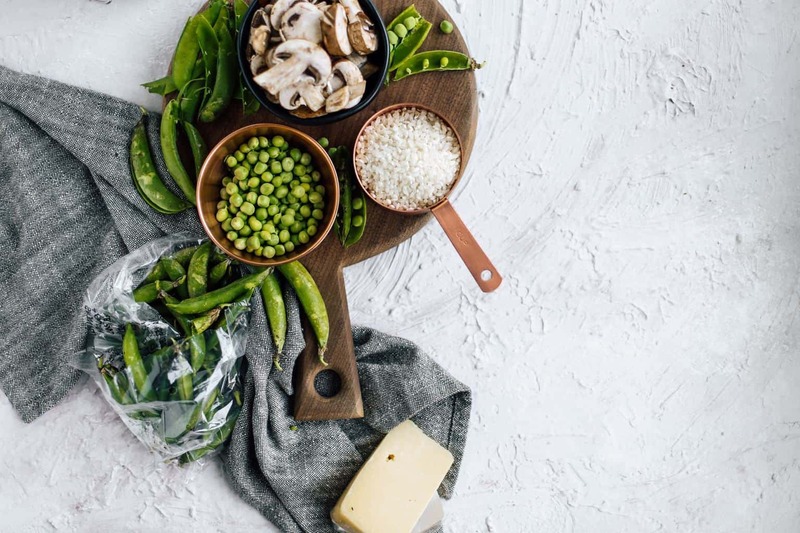 Remove from heat and stir in Parmesan cheese, browned mushrooms and blanched English peas. Garnish with parsley, fresh pea tendrils or sprouts. Girl this looks amazing!! The most perfect spring recipe!